If you want to start taking karate Leicester classes, you may well have the ultimate goal of a black belt in your mind before you begin. This is not uncommon. The black belt is, for many people, the ultimate prize when they start learning karate. However, while this is an understandable goal to have in mind (and an admirable one at that) it is wise to remember it may take several years to reach it. It is said that an adult who goes to classes twice-weekly may take five years to get their black belt. However it does depend on the dedication of each student. It is likely that it may take longer, especially when you take into account the dedication displayed by each student. It is also worth remembering there is no prize for speed when taking karate Leicester classes. It is always much better to take however much time you personally need to learn the discipline. Trying to rush things will only take you backwards. 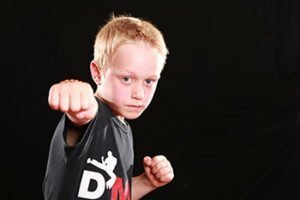 You should also feel quite confident in joining a school that is very demanding with regard to how long it takes to earn each belt on the way to the coveted black belt. Remember – this is not just a piece of material tied around your waist. It is a sign of how much experience and knowledge you have of karate. As such, it is better to focus on each coloured belt in turn. By all means keep the image of that black belt in the back of your mind as your ultimate goal. But just as a dieter will concentrate on each half-stone instead of their end goal, so you should concentrate on the next coloured belt along the road towards your eventual goal.